How do I add a subcatalog for individual departments or organizations? 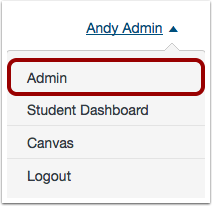 As a Catalog admin, you can add subcatalogs in Canvas Catalog by creating a new catalog. Your domain catalog links your account in Canvas with your catalog home page and is created for you as part of the catalog setup process. Subcatalogs are linked to your domain catalog and allow you to associate specific listings for a department, organization, or team. Subcatalogs can be customized with their own branding and settings. By default, subcatalog listings are shown in the parent catalog as well as the subcatalog's individual URL path. However, subcatalogs can also be made private, where subcatalog listings are not shown in the parent catalog. Once you have created a subcatalog, you can manage your catalogs at any time to add customization options. Note: You cannot delete a subcatalog once it has been created. Click the Add Catalog button. In the URL Type drop-down menu, select the Path option. Add a name  and path  for your subaccount. Name is how you want to refer to the account. Portal account name is internal use only and does not appear on any external catalog page. Path is the name extension for the subcatalog; this name will be added to the end of yoursite.edu/browse/. The path should be unique per subcatalog. Use dashes between word spaces (e.g. yoursite.edu/browse/your-path-here). As an example of a subcatalog path, if you wanted to create a subcatalog for an English department, you could specify the path as english. Any associated listings would be seen on the subcatalog page at yoursite.edu/browse/english. In the Parent Catalog menu , select the catalog where you want to associate the path URL. Most commonly you'll set the domain catalog account as the parent catalog, but another subcatalog can also be a parent catalog. By default, all subcatalog listings are enabled to be shown in the parent catalog. To create a private subcatalog and not display listings in the parent catalog, toggle the Show Listings in Parent Catalog option . Whether or not your subcatalog will accept payments, you must set the language , currency , and country  for your subcatalog. Language is the language for your Catalog users. The default option is English. Note that some languages are not fully translated and may fall back to a related language or the English default. Currency is the system of money you want to use for paid courses. The default option is USD-$. Country is the country code for the country where your Catalog account resides. The default option is the United States. In the About field, create a short description about the catalog. This field does not display anywhere else in catalog, but it can help differentiate similar catalog accounts. Click the Save button. Confirm your catalog was added successfully. Note: Catalog will notify you if there are errors in your catalog account. If there are any errors, correct them and then click the Save button again. Previous Topic:How do I manage my catalogs? Next Topic:How do I manage user defined fields for catalog registration? Table of Contents > Admins - Catalog > How do I add a subcatalog for individual departments or organizations?